Many organizations and survey software providers use the terms “employee pulse surveys” and “always-on survey” (or variations of always-on, such as “continuous feedback” or “real-time feedback”) interchangeably. While this makes sense on the surface, pulse surveys are technically more similar to annual employee engagement surveys than to true always-on surveys. Selecting the best method to measure employee engagement and employee feedback is crucial. While pulse surveys offer many advantages, organizations should be clear on which method is best for measuring employee engagement effectively and to match their goals. Called “pulse” because they “take the pulse” of an organization or group, these types of surveys are helpful tools in gauging progress, warning of potential dangers, understanding trends in the employee experience, and promoting action. Pulse surveys offer the ability to quickly and frequently measure feedback within entire groups or subsets of groups. They allow organizations to see real-time employee engagement data that can be acted upon quickly. They occur at regular or planned intervals, or with planned groups, and generally involve large pockets of the organization’s population (if not all employees). Employee pulse surveys are often intentional follow-ups or supplements to other surveys. Employee pulse surveys sometimes ride the coattails of annual employee engagement surveys or other pulse surveys, in that they serve as a great way to drill down for more specific information or follow up on areas that need to be addressed. For example, if an employee engagement survey occurs each year, and results clearly show managers aren’t taking the time to give employees regular feedback about their performance, the organization may implement processes that encourage managers to provide frequent feedback. Rather than waiting for the next annual or semi-annual employee engagement survey to understand whether these actions have been effective, a pulse survey could be administered each month or each quarter that focuses on that specific question set, as well as other critical items identified by the annual employee engagement survey. How should pulse surveys be used? We have found that many organizations use their annual employee engagement survey to identify 3-5 specific actions that need to be taken to improve the employee experience. They put plans in place and send out a brief (generally fewer than 10 questions) quarterly or monthly survey to gauge progress. The key to understanding the usefulness of these surveys is the word sub: a sub-group; a subset of the population; a subset of the annual employee engagement survey; etc. Pulses are able to take the value obtained from the annual employee survey and break it into smaller, more actionable chunks so that actions can be taken. However, due to the limited length of the survey, pulses may not provide the insight organizations need if they are used as standalone surveys. Along these lines, some organizations find that their levels of employee engagement are solid year-over-year, and their subsequent action plans are appropriately focused on “continue doing what we’re doing.” Rather than administering an annual employee engagement survey, their objective is to watch for warning signs before they become problems, as well as to look for pockets of future concern — issues with a department or manager, concerns within a segment of the population, or potential attrition. They find value in the ability to administer less extensive surveys more frequently to subsets or samples of the overall population. In this case, the employee pulse survey acts as a warning gauge, much like a warning light on a vehicle dashboard. Over the year, most (or all) of the population will have been surveyed. While our research found that most organizations (87%) conducting employee pulse surveys still rely on an annual employee engagement survey for more extensive analysis, others (13%) find that pulses alone are sufficient. Another popular use of employee pulse surveys is to gather targeted information about experiences across the employee life cycle (ELC). This includes gaining an understanding of such ELC events as an employee’s hiring or onboarding, transition from individual contributor to supervisor, or exit from the organization. This targeted approach reaches most employees at critical parts of the ELC, rather than conducting a broader survey of all employees at the same time. Employee pulse surveys are effective mechanisms for determining progress on specific initiatives undertaken as a result of a larger survey or experiences across the ELC. In this sense, they provide the advantage of always-on surveys (frequent response), without sacrificing the quality of information received. By comparing the results of one survey administration to another, an organization can effectively measure whether change has occurred and whether the actions taken get results. 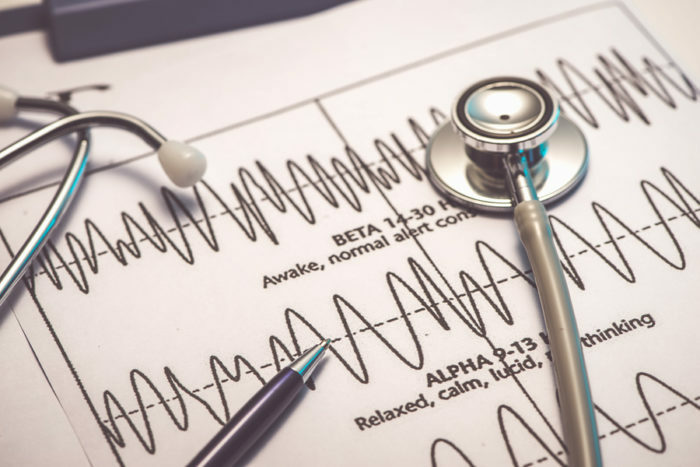 Employee pulse surveys are also effective as check-ins, warning indicators, or, as the name suggests, to simply keep a finger on the pulse of the organization. Employee pulse surveys are typically less expensive per administration. Because they are generally based on the same technology system that supports the organization’s more traditional employee engagement surveys, they can be fairly simple to administer. These surveys can get very specific about items identified by the annual employee engagement survey and, because they are surveying the same general population, and can identify changes or trends in specific manager groups, teams, functions, or divisions. Can pulse surveys be harmful? Employee pulse surveys are often used for following up on critical items, such as events across the ELC, or issues identified by an annual employee engagement survey. In conducting the pulse survey, an organization is telling its employees, “We heard what you said and care enough to see how we’re doing on this.” But, the message the employee hears is, “The company intends to act on the feedback we provide, so we can expect to see some changes.” While this is all very positive for the organization inclined to act on the feedback, a company that continues to survey on issues previously identified, but does little to create change, can be doing more harm than good. Another risk with employee pulse surveys — one that is less pronounced here than with always-on or spot surveys — is the possibility of survey fatigue. Surveying too frequently, particularly with little or no action in between, is more detrimental than not surveying at all. Balance is key. While employee pulse surveys are effective in assessing segments of the population across intervals, they do not provide the richness of actionable data provided by an annual employee engagement survey. Much of this is due to the notion that pulse surveys are much shorter, and that an entire employee base is usually not surveyed at the same time. Employee pulse surveys are excellent, systematic gauges of progress. When paired with other employee survey methodologies, pulses can be effectively used to measure progress and key areas of the employee experience. From an employee standpoint, when action is taken, the team can see that the organization took the feedback seriously and is actively working to create a more positive employee experience. The organization gains a clearer picture about hot spots — both positive and negative — and can better tailor actions based on that feedback. However, the frequency of pulse surveys can also be a drawback, if not used effectively. While not limited to employee pulse surveys, surveys that are administered within short time frames (three months or less) may not allow for enough time to show employees their feedback is taken seriously, and that it is being used for change. This may result in lack of trust in the organization’s commitment to change. Further, changes in statistical data from one time period to another (quarter to quarter or month to month) may be small, and it is difficult to say whether these changes are due to intentional action or simply due to minor variance in the data. This is a bit like stepping on the scale every day and expecting big changes (and when you do see a change, you are reminded that weight can fluctuate by 5 lbs. in any given day!). As you can imagine, this drawback would also apply to always-on surveys. As with any survey, employee pulse surveys should not be administered any more frequently than you have the ability to implement action plans. Pulse surveys have gained increasing popularity, due to their ability to work with more comprehensive surveys. With their quick setup and administration, pulse surveys have the ability to provide additional analysis of specific information. However, pulse surveys should not be considered comprehensive, in that they are limited in the number of questions/items addressed, or the groups being surveyed. When used to gather information through the ELC, the data should be considered as input into understanding the overall employee experience. When used to gauge progress on initiatives, they supplement the more traditional employee engagement anchor survey. We recommend using the same technology for a pulse as is used to administer annual employee anchor surveys. Doing so will save time in determining the organizational structure (departments, functions, who reports to whom, etc.) to be used in reporting survey results. It will also allow a direct comparison of results from one survey administration period to another, without increasing the difficulty of working with multiple systems.